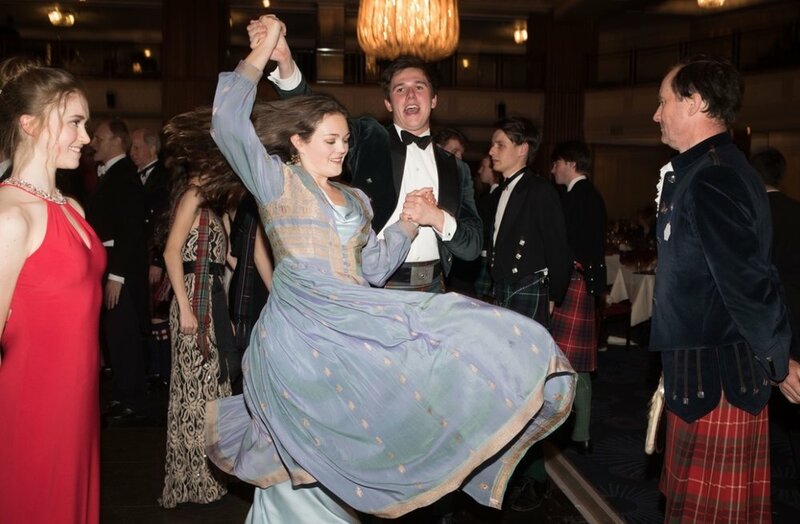 Dedicated reelers have been spinning themselves and their partners with joyful abandon at the Royal Caledonian Ball since 1848. The Royal Cal is the first of the big reeling balls and the most prominent. It has been cancelled in the past only because of war, (Boer War and the World Wars) and after the death of King Edward VII. With over 700 guests it is an immense party with tiara's and sashes 'encouraged.' Children may observe the set reels from the balcony with their nannies, 'in uniform.' Tickets are consistently in high demand and are priced at a premium to benefit a range of charities which the ball has supported since its inception. With a sense of bewildered astonishment the gathered guests at this years ball on Friday witnessed large cracks emerging in the vast dance floor after merely two dances. Who know's? Perhaps the reeling community is tainted with the Obesity Crisis. Perhaps it was a floor designed for floppy disco dancing rather than 700 reelers galloping round the room like the Scots Greys charging the French guns at Waterloo. The cause was irrelevant to those present as dancing was suspended and despite the best attempts of those present will not happen again in the Grosvenor Ballroom until next years ball. The committee have announced they will give refunds. Refunds are unlikely to be taken up by most given the altruistic nature of the event. Physiotherapists across the land are facing the unavoidable reduction in post-event injuries and physical complaints with fair-minded stoicism. 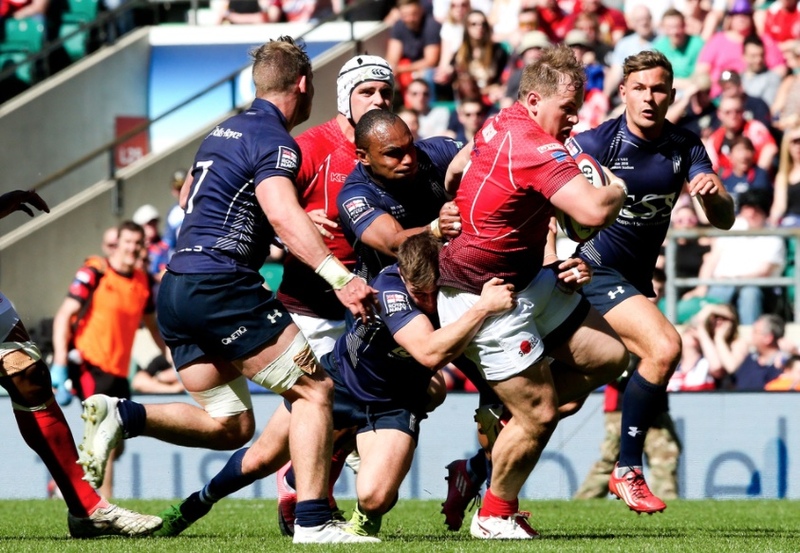 The next day over 82,000 serving and retired soldiers and sailors gathered with family members amongst them at Twickenham for the annual Army v Navy rugby match. It is the largest amateur rugby game in the world and the one which records the biggest beer consumption in the Twickenham area of any event. Few of the attendees at the previous night's ball would have been at both events. The game was going swimmingly until at 15 minutes, a sailor got himself sent off. This undermined the Navy's hope's of winning. Despite this, they played well with 14 men. How much closer might the 22-14 score have been had they been at full strength? The crowd enjoyed the game and the day out in the sunshine right until the 60 minute mark when a power problem caused the scoreboard and big screens to go blank. So did the tills in the bars. When the tills stopped working so did the beer pumps. Having the beer stop flowing with 82,000 thirsty serving and retired servicemen could be described as sub-optimal. Others might say calamitous. A body of opinion exists which advocates that the rugby only serves to impede a good days drinking with old mates. For this cadre, the beer tap debacle brought their fun to a shuddering halt. For the majority though, it was a blip in a good day out and saved many a few bob given most servicemen have an aversion to paying £5.50 for a pint at Twickenham and do so only reluctantly. Two sets of gremlins over the weekend then at two very differnet events. Could be an interesting summer. At Inverness City Basketball Club they don't just talk about Sport for All, they practise it. Just great to see the coaches and players of their U14's Lion's team include my young nephew Matthew in their trip to Aberdeen yesterday. They get what community sport is all about. Of course, Matthew only went and scored which made his mother and the rest of us very proud. I think I am right in saying he is the first boy in the family ever to play in a basketball team and definitely the first to score. I must have stood on hundreds of touchlines over the years but I don't think any try or goal in any match has made my heart soar as much as the one in the clip above. I love Down's Syndrome kids. I often think they give us a window on our own souls. That is, unfettered by convention and having freedom by not being in the least self conscious, their exuberance, angst, happiness and sorrow are a wide open book, the way most of us often feel inside but are afraid to be as demonstrable as are they. Some sporting shares have been hammered recently. That is interesting. If sport were an equity index I would probably be bearish. I have talked previously about the fall in attendances at US sporting events and in viewer numbers. The Super Bowl for example, peaked in 2015 at 115 million television viewers, which was a 26 year high, to 111 million viewers last year. We could ask, or rather shareholders should be asking, how much the Italian accounting calamity that struck British Telecom was due to management looking at the green grass of the Premier Division rather than their core business and what that implies for levels of future television rights; the premise on which the whole shaky construct stands. That is, the shaky construct of football but also of BT. Who in their right mind would invest billions of pounds into a business whose biggest business risk is the binary outcome of a bidding war, getting the number in an envelope wrong and losing their audience and business model at a stroke. Television viewing figures for both SKY and BT were reported to be lower last year but the reasons why were complex. They varied from straight cost, quality of football, too much football, the formats, inflexible pricing, illegal streaming alternatives and value amongst others. The Leagues themselves can sell overseas rights as the Premier league did with China last November so have more of a cushion. Golf meanwhile seems to have peaked back in 2014 along with Tiger Wood’s game and cricket…… well, don’t get me started. Closer to home the sudden panic about urban air pollution which has engulfed us, and which will invariably lead to equally sudden and poorly thought out legislation, may have an impact on domestic sporting goods sales. Having been encouraged for years to get out jogging and cycling citizens may now rethink their personal fitness goals if, having avoided being mown down by an Eastern European HGV they now learn that their lungs are dissolving into a pit of slimy diesel-flavoured mucus. It’s a bit galling to discover that they would have been better off sitting in a pub garden with a pint and 20 Benson’s for the last 20 years which pretty much has been my alternative plan to the jogging hysteria. Not mentioned yet, (of course it wouldn’t be), is the impact on air quality that newly imposed 20mph speed limits in the City and beyond have had, the addition of some 50,000 registered Uber drivers and of course, the ridiculous cycle lanes, the construction of which has clogged up the streets for the last couple of years and slowed down traffic commensurately. I fear, we are in a death spiral of health related unintended consequences. All the health fascists have achieved has been to make the population more neurotic, (which is unsurprising given they are being diagnosed with and warned about increasingly creative ills), and it seems to me, have made us less stoic, more angry and a whole lot less comfortable within ourselves and whatever shaped bodies the good lord and the accidents of DNA presented us with. Throwing it all together, have we, might we, just have reached Peak Sport? As the Rio Olympics draw to a close we can reflect on what has been a reasonable showing from the British cohort and while doing so note what has become the new national sport, Having A Go At John Inverdale. I'm not quite sure what the origins of this new game are but with the current score of Twitterati 341,000 to John Inverdale 0 I think it's time to shore up his defence. I don't particularly care if he tweaked a few oversensitive princesses by making a couple of honest errors while live on television. He is a good guy, has long been an enthusiastic supporter of charitable works, (especially sports related endeavours such as CRY), and is a commentator who I at least, am happy to listen to. There is nothing wrong with being grounded and unassuming rather than over the top and emotional. Certainly, I would rather have a pint with Inverdale than I would Queen Clare and therein I suspect, lies the problem. While Rio has been memorable for many individual sportsmen, teams and their respective families and fans there has yet been, no 'one big thing,' that will stay in the memory for me. Perhaps that is a good thing for often the 'big things,' are bad things as with Munich or some incident of cheating or other. Yet, there have been moments in the Olympics that will honestly live forever, (or live forever honestly). I'm thinking especially of that moment 48 years ago when a young man walked into the arena in Mexico City and turned a sport on it's head. I was a young boy but the day after we saw the Fosbury Flop for the first time it was all anyone, from kids up, could talk about. It was a remarkable moment and he was a remarkable man. I wonder how many kids ended up in A&E in the weeks following as we all tried to emulate the new technique? Am I alone in feeling increasingly uneasy about the growing jingoistic in-your-face celebrations following each medal success in the Olympics? Without wishing to detract from the efforts of dedicated individual sportsmen and teams, the absence of humility and magnanimity in victory from our media, led by guess who on the box, is becoming, quite frankly, somewhat embarrassing. We don't usually win so much, so often. It is something we're not used to and we are collectively in danger of being seen as bad sports by the rest of the sporting world. After all, it is clear that we have out-spent many rivals to get to this position and there is a valid debate looming about value. That is, is it fair and reasonable to spend an average of something in the ball park of £5m from Lottery funding for each medal when we have tens of thousands of children who have no access to sport and toddlers with no access to green space and simple swing parks? Whatever the result of that debate, it is time everyone dialled the emotion back a bit. The Dianaisation of every event in this country is quite frankly, becoming tedious and dull. It is not the British way and we're not making any friends believing or acting otherwise. Dad, I'm off to Bavaria next week. I've been there, bloody nice place. Why are you going there son? I've just booked myself on a 10 day paragliding course. Right you are. Paragliding..... why paragliding son? Because Dad, walking down the mountain is the boring bit. Indubitably so son, indubitably so. Our little island was divided in 1988. On the one hand we had the arrogant up-their-own-backsides skiing and sporting snoberati who determined that having a plucky tryer in the Calgary Winter Olympics was an affront to sport and a national embarrassment and then we had the rest of us who warmed to the Eddie Edwards story and willed him on. Personally, I couldn't have been prouder to be British. Eddie fulfilled everything that was wholesome and good about sport and exhibited the virtues that we value of humility, sacrifice, determination and tenacity. That was in the good old days when apart from Torvill & Dean and Hot John Currie we rarely won anything at all worth mentioning and British competitors were measured by how well they competed, given the British Ski Federation trophy cabinet had been empty since 1936. What joy then to pop down to Chichester and watch the movie, 'Eddie the Eagle.' For an enjoyable, feel-good 102 mins it is genuinely worth the modest effort. The film is, I admit, full of cliches and plays a little loose with the actuality but which strip of celluloid doesn't? Don't even think about waiting for it to appear on SKY; just go and see it, you won't regret it. After all, there's a little bit of Eddie in all of us. Texts this week from the youngest Crumble Kid won't be finding their way to his Mum. Not what she wants to be reading about her baby's university education. Today's Snapchat from the youngest Crumble Kid........ perhaps better if his mother doesn't see that. If sometimes you feel that life has moved on and left you somewhere behind on the hard shoulder , low on fuel with an engine that is showing signs of wear and tear then believe me, you're not alone. Now I don't know much about baseball. Nor do these girls. I empathise with the commentators; they get it. (h/t Tim Knight). England out; diet back in.................... double bugger. Bugger. Bang goes the knighthood then. It was grim, just grim. We all knew that getting through the group would be challenging. The manner of England's exit though has left us numb. Outplayed in every single facet of the game against Australia there is no mitigation, no redemption, no 'close fought battle but the best team won on the day,' piece of wreckage to cling to. They didn't even listen to Crumble's advice from March. 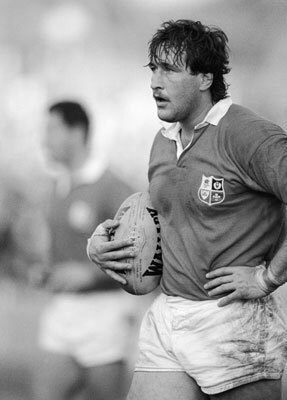 I’m reminded of that great quote from JPR Williams after Wales were thumped by the Aussies in 1984, “No leadership, no ideas. Not even enough imagination to thump someone in the line-up when the ref wasn’t looking.” (which is exactly what I posted on our exit from the last World Cup). Rugby fans are a realistic, knowledgeable, philosophical and fair minded bunch. The bottom line though is that England supporters deserved so much more. From the young lads who play in the driving rain and sleet throughout the winter at clubs and schools, their coaches, the Mum's who make the bacon butties in the clubhouses to the Twickenham faithful who have been paying through the nose to watch little collective improvement over twelve years, they have all been badly let down by a team that choked on the day when it mattered most. This is the generation of players who should have been inspired by the schoolboy heroes in 2003 they grew up watching to emulate them. The boost that English rugby received after that win was formidable. Such was the surge in enthusiasm for the game, individual age groups at clubs had north of 50 players per age group turning out on Sunday mornings. Something has gone very badly wrong if we can't cobble together a team that can give Australia a decent match with those kind of resources. Australia looked a complete team of old with none of their perceived weaknesses evident, especially up front. When everyone is thinking the same though, nobody is thinking. Except Michael Cheika. He has done an outstanding job in just twelve months in reenergising and inspiring Australian rugby which wasn't in great shape prior to his appointment. Its easy to forget the limited pool of player resource available to the Wallabies given union isn't played in much more than 12 schools and the allure of other sports increases every year. Despite that, the sight of the England pack being shunted around the park was embarrassing and left the rugby die-hards I was with subdued into silence. The 'thanks for coming,' epitaph and being reduced to being the caterers, waiters and barmen for the rest of the competition is pretty upsetting and while we'll enjoy the games the spirit will be sagging. There are unanswered questions, about selection especially. The Ford, Burgess, Armitage, Burrell, Hartley debates will continue for quite a while but if I was to highlight one thing which has troubled me about the team it would be the lack of street smart menace. Great English teams have always had a few edgy players. Apart from Brown its not clear who else exudes the kind of match cunning, fighting spirit and threatening behaviour that dominates and intimidates other teams physically and psychologically. Instead we have two muppets in Farrell and Burgess with simultaneous dangerous infractions in front of the referee in the last quarter of a losing game. Farrell was binned, Burgess should have been red carded but escaped. That isn't the kind of match cunning to which I allude. In short, the Lancaster regime is too nice, too decent and too naive. They've managed to make the shambolic 'Mike Tindall's stag weekend,' squad we sent to the last World Cup look pretty competent. We're putting boys out against men, soldiers against warriors, individuals against teams. I'm not sure where that leaves the coaching team and if they should be tinned or not. Perhaps it just a fact of life that everyone is promoted to their own level of incompetence. Instinctively it feels like they should go, so complete has been the failure to do, well anything to an acceptable standard. Australia's second try was a simple demonstration of how we are being out thought before the team ever steps onto the pitch. We're not good enough for this competition and frankly, there are some second tier teams out there who could rattle England's cage on their day. It seems obvious that we need some Southern Hemisphere input into the set up at some level. One thing is for sure, inaction is not acceptable. England are going backwards but the worry is we seem to have more gears in reverse than we do forward. So, what is the Crumble view? I've had quite enough of contrition and humility which has been too fashionable under this regime. We are a great rugby nation but one which has lost its winning GPS, (actually, it was trashed in Cardiff in 2013 and we've never really recovered). To be good at something, you need a touch of arrogance and that comes with self belief. Compare the wild eyed look in the Scots in their recent matches with what you saw in our players eyes in the first five minutes last night. A good start, would be to exert pressure from supporters, players, (amateur and professional from schoolboys up), and their coaches on Sir Clive Woodward and the RFU to stop acting like spoilt children, to sit down and figure out how they can work together for the benefit of English rugby. If Lancaster is to stay then most of us would agree he needs a mentor to assist with a hand on the tiller here and there. If he is to be replaced then Woodward should be involved at some level; it's simply barking that he's not. And Wilko? Seems pretty obvious doesn't it? We missed the opportunity to lift Sir Ian McGeechan five years ago; lets not muck it up again.